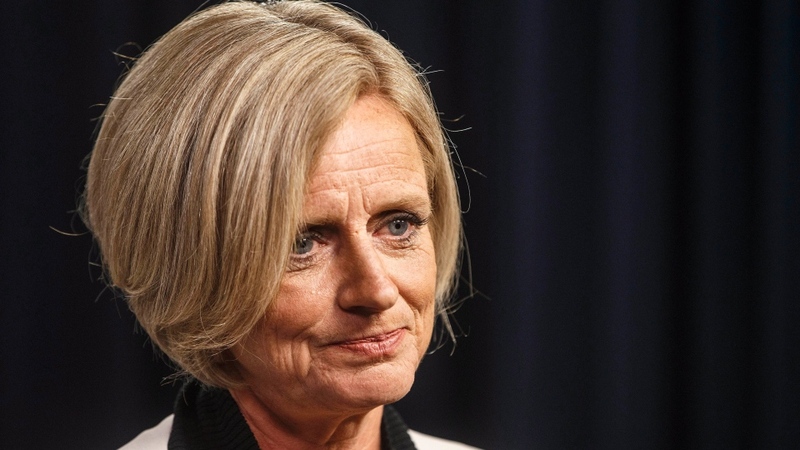 Premier Rachel Notley has announced that Alberta is pulling out of the national climate plan until the federal government “gets its act together” on the Trans Mountain pipeline expansion. In a scathing statement, Notley declared that “the time for Canadian niceties is over” and urged Prime Minister Justin Trudeau to recall Parliament for an emergency session to address what she called a crisis that threatens Canada’s sovereignty. “Albertans are angry. I am angry. Alberta has done everything right and we have been let down,” Notley said. Notley said she spoke with the prime minister following the Federal Court of Appeal’s decision Thursday to overturn the federal government’s approval of the contentious pipeline expansion. Notley said she urged Trudeau to call the emergency meeting and file an immediate appeal. “And let’s be clear: without Alberta, that plan isn’t worth the paper it’s written on,” she said. “Money that should be going to Canadian schools and hospitals is going to American yachts and private jets. We’re exporting jobs. We’re exporting opportunity. And we’re letting other countries control our economic destiny. We can’t stand for it,” she said. If immediate steps are taken, Notley said, there is still hope that construction on the expansion can restart in early 2019. “This absolutely needs to happen,” she said. Notley’s move is a serious blow to the Liberal climate plan, which includes putting a price on carbon and new clean fuel standards. Federal Finance Minister Bill Morneau said earlier in the day that the federal government is dedicated to move forward with the Trans Mountain project. "Our government remains committed to ensuring the project proceeds in a manner that protects the public interest," Morneau said in Toronto.